Worcester Timber Products - Fencing/Gates based in Kidderminster, Worcestershire. 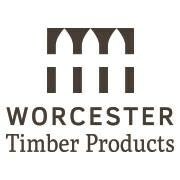 Worcester Timber Products is a family run limited company based in Worcestershire. We manufacture our own range of quality fencing products made from pressure treated timber. We also supply an externally sourced range of high quality kiln-dried pressure treated fencing products including decorative panels, trellis, garden gates, timber decking and timber garden features and furniture. Our experienced installers pride themselves in delivering a high level of service and finish to every installation. With experience dating back to the mid-90's, advice and support is always on hand with overcoming difficult areas and unusual designs. Site visits from our experienced installers prior to Free no-obligation quotations. All DY and WR post-code areas and some areas within B, WS, WV and TF.